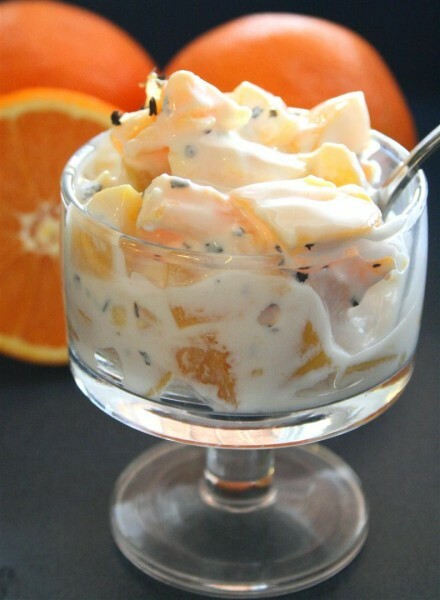 Orange Peach Dessert Bowl was posted on May 2nd, 2011 and is filed under Breakfast, Desserts, Gluten Free, Kid Friendly, Low Carb, Recipes, Snacks. This entry has 6 comments. You can follow any responses through the RSS 2.0 Comment Feed. I’m a dessert person. I’m also a breakfast girl. Sometimes I mix those two things together, which makes life even more fantastic. Which is what I did with this recipe…it could easily be a breakfast or a dessert. Those are the best foods. Ever. Some other desserts I like for breakfast is Chocolate Cake Batter Milkshake. Then there are smoothies that rock my world. Or just pure chocolate. Yes, I have done this and I am not ashamed! In fact, this morning I was scrounging around for chocolate and…heartbreak of all heartbreaks, I did not find what I was seeking. 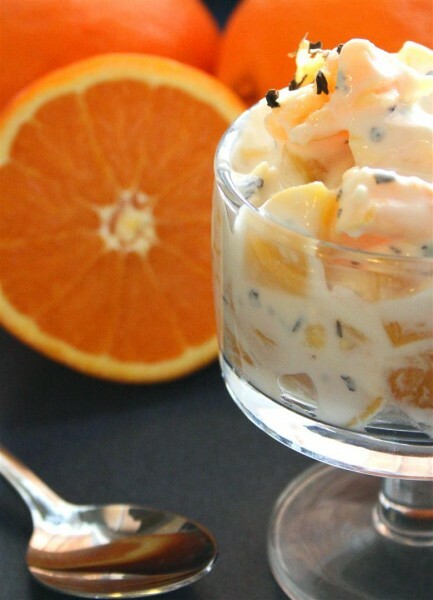 But I had some yogurt and orange instead and that reminded me that I needed to post this yummy recipe. Combine all the ingredients and dig in. Did I ever tell you that I like easy recipes? 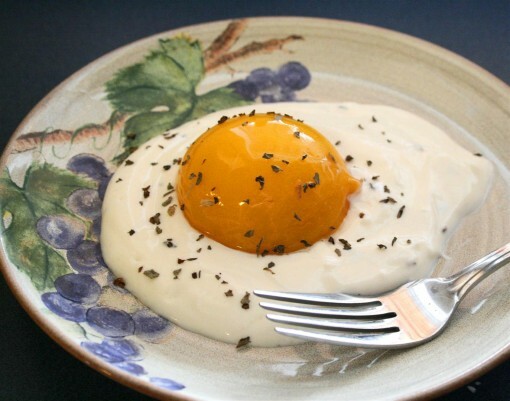 You can make this recipe more fun for kiddies by mixing the yogurt and pouring it on a plate, topping it off with ½ a peach, and sprinkling it with dried oregano like pepper. It looks just like a sunny-side-up egg! I thought it was kinda fun. This recipe serves one. Today: I have dreams of getting a 12 miler run in…I guess I should just get-er-done and make it a priority. So now I can say that this month I am running a real, live marathon! I am freaked out. Really. I recently got a foot injury that seems to be mostly better, but it acts up when I run. I don’t have time for foot injuries! Gaaaah. Anyway, all panic aside. I know I can do the marathon, whether or not I’m crawling through the finish line. My next post will be about my Project One for the Art Challenge! If you’re interested in getting my updates, subscribe here! Are there any foods that you eat for dessert and breakfast? What do you do to make food fun for kids? Hey! I just discovered you blog today and I LOVE it! Your recipes are amazing! 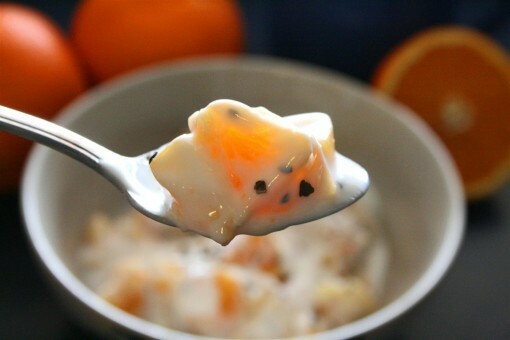 I am going to have to try the orange peach bowl ASAP! Olivia~ Haha, I thought it would be fun. Hope you enjoyed the recipe…glad to meet a fellow dessert + breakfast fan! I’ve been having yogurt with various fruits for my breakfast lately. This orange peach bowl sounds great. I’ll try it for breakfast next week! Hello I am constantly on the look out for ways to get healthy, I appreciate your blog post, sounds really good! This is actually really decent info!